I’ve been doing the 24 in 48 readathon, and so far, I managed seven hours of reading. I wanted to do more, but I couldn’t as I had to do some shopping. I finished one book, Sister of my Heart by Chitra Banarjee Divakurni. Anju is the daughter of an upper-caste Calcutta family; her cousin Sudha is the daughter of the black sheep of the family. Sudha is as beautiful, tenderhearted, and serious as Anju is plain, whip-smart, and defiant. yet since the day they were born, Sudha and Anju have been bonded in ways even their mothers cannot comprehend. The cousins’ bond is shattered, however, when Sudha learns a dark family secret. Urged into arranged marriages, their lives take sudden, opposite turns: Sudha becomes the dutiful daughter-in-law of a rigid small-town household, while Anju goes to America with her new husband and learns to live her own life of secrets. Then tragedy strikes them both, and the women discover that, despite the distance that has grown between them, they have only each other to turn to. Set in the two worlds of India and America, this is an exceptionally moving novel of love, friendship, and compelling courage. 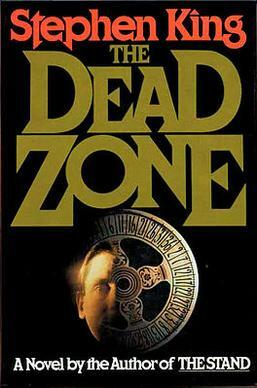 I am also halfway through The Dead Zone by Stephen King. Top Ten Tuesday: Books recently added to my TBR.